If you have been recommended for an Occupational Therapy (OT) Driving Assessment, this article outlines what is involved in the procedure. Firstly, it is useful to understand the area of occupational therapy. An Occupational Therapist is an allied health worker who helps people improve their independence. Usually, OTs work with people who have medical conditions or other difficulties that impede on their everyday functioning, so they can perform the activities that are important to them. OTs can assist people in areas such as essential self-care, altering the person’s environment to lessen effects of their condition or disability (e.g. home or vehicle modifications), or enhance their ability to cooperate in social activities. A meaningful and significant activity that people perform everyday is driving. 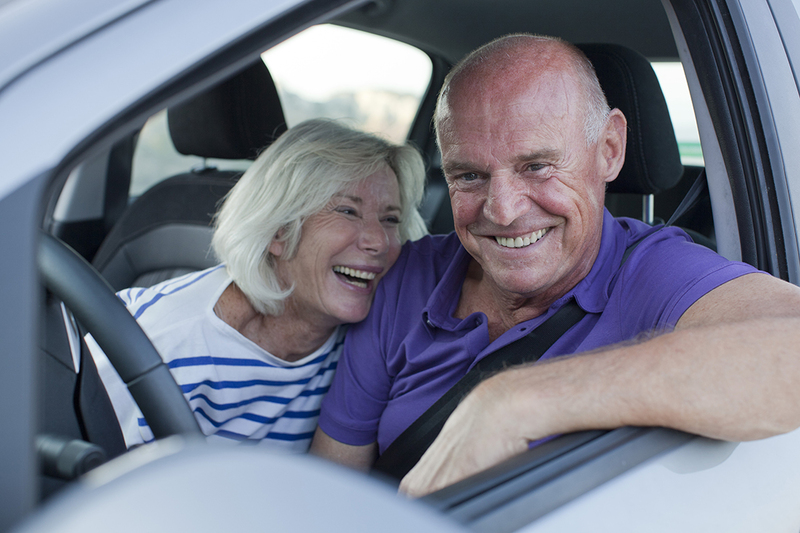 For many people, the ability to drive is crucial to their independence. However, some people may develop disabilities, conditions or injuries that may disturb their driving capacity. In NSW, it is the responsibility of every driver to inform the Roads and Maritime Service (RMS) of any medical condition that potentially affects their driving. However, other people in the person’s life who is concerned about their driving, such as their Doctor or a family member, can also inform the RMS of the person’s condition. When a person has a condition or disability that is deemed to affect their driving skills, they are required to undergo an OT driving assessment. Common examples of conditions that require an assessment are cognitive conditions (e.g. Alzheimer’s disease), brain injury, stroke, amputations and developmental delays or intellectual disabilities. The purpose of the assessment is to evaluate how the condition is impacting on the person’s driving to ensure that the person can drive safely. – The off-road assessment: The OT completes physical, cognitive and visual tests on the person to identify any major deficits in these areas that may influence their driving. – The on-road assessment: The person drives the driving instructor’s car with the driving instructor and OT. – A pass: The person’s condition was not observed to affect their driving and they were assessed to drive safely and independently. The OT will recommend to the RMS that the person can return to or continue to drive. – A fail: The person was not assessed to drive safely, and their condition was identified to impact on their driving performance. In this instance, the OT does not feel that the person’s driving will improve, and further lessons or other interventions would be of no benefit. The OT will recommend to the RMS that the person’s licence is cancelled. – Needs further lessons or other interventions: The person made some errors that need improvement and the OT believes that they would benefit from driving lessons or other strategies to build their skills. Lessons are completed with a driving instructor who is specially trained to work with drivers with medical conditions. Other interventions that may be required include vehicle modifications (for physical conditions or disabilities), and the person will need lessons to gain competence in using new modifications. In these instances, the OT will recommend a number of lessons and on completion of the lessons, an OT driving re-assessment will be performed. The person may also need to undertake the RMS Disability Test. It is important to note that the OT driving assessment specifically analyses how your medical condition or disability is affecting your driving performance. Errors made during the assessment that are due to poor driving habits or being unfamiliar with the vehicle generally do not cause a “fail” of the assessment, unless they are critical in nature. Critical errors are those which necessitate the driving instructor to physically intervene (e.g. by taking control of the steering wheel or using the emergency brakes). It is also worth noting that the OT and driving instructor try to support you as much as possible throughout the process, and give you feedback to correct errors and improve your performance.